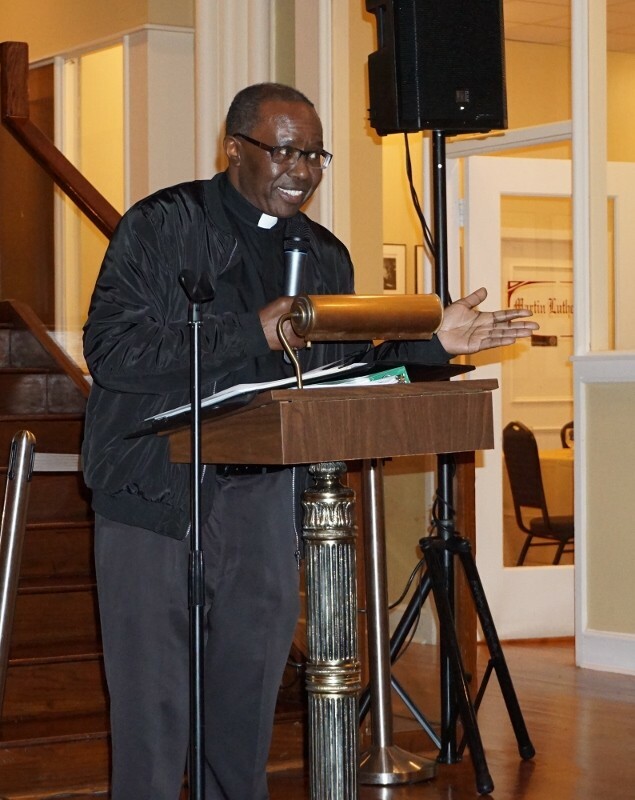 NCC Board President Dr. A. Zachary Yamba welcomed guests to A Memorial Tribute to Monsignor Linder Oct. 23. New Community CEO Richard Rohrman shared how NCC is growing. 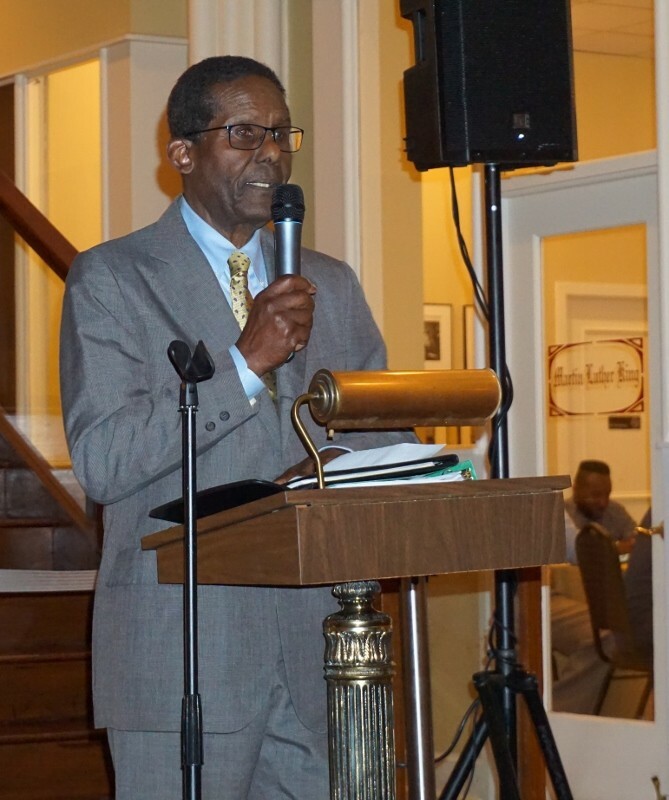 NCC Board Member Newton Richards spoke about how Monsignor Linder would want New Community to move forward. 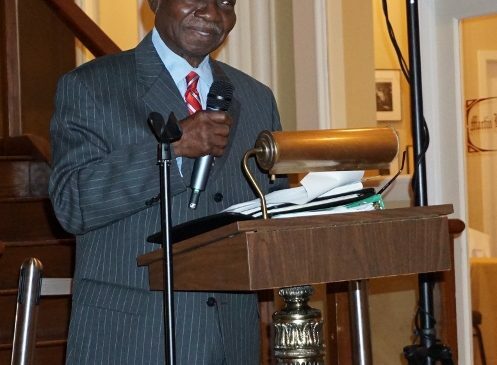 New Community Board Member Madge Wilson recalled what a great man Monsignor Linder was. Event emcee and new NCC Board Member Diane Johnson told the crowd New Community is alive and well. Father Philip Waters talked about how Monsignor Linder was always willing to roll up his sleeves. Father Beatus Kitururu told the crowd that Monsignor Linder taught him about the power of love. NCC Human Resources Manager Anna Sing-King shared her story and how Monsignor Linder’s work and mission made a huge impact on her life and that of her family. Saint Vincent Academy Administrative Director Sister June Favata told the audience how she admired Monsignor Linder and his work. 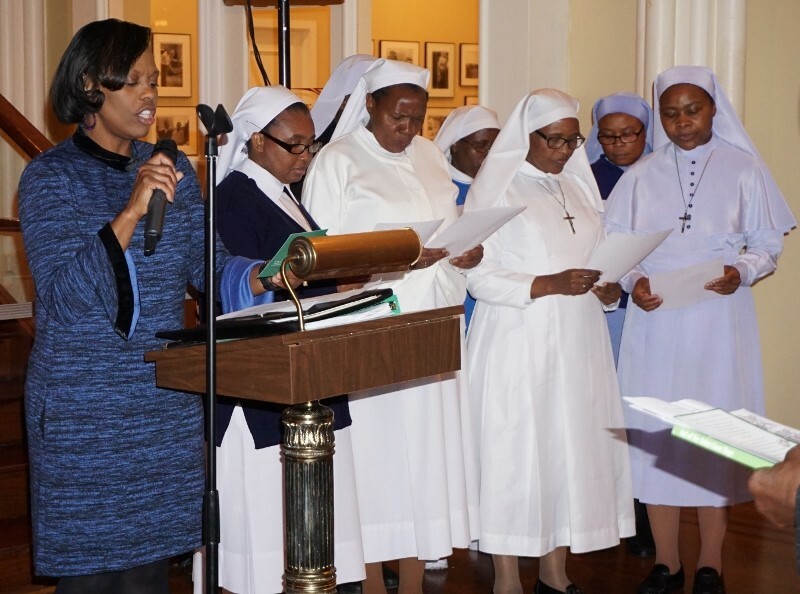 NCC Director of Mission Frances Teabout led the audience in the Prayer of Saint Francis to begin the event. She closed the evening with how New Community’s work is still greatly needed. 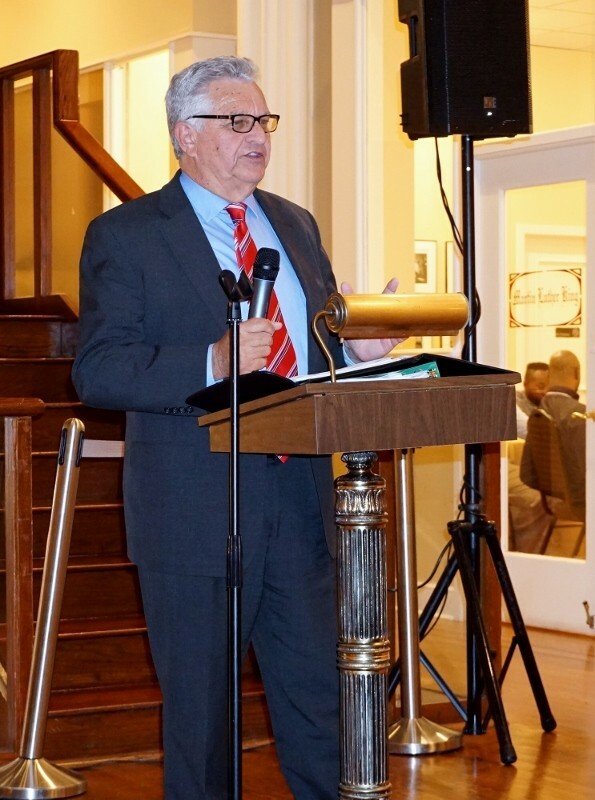 New Community Corporation hosted A Memorial Tribute to Monsignor Linder: Visionary, Founder and Leader to honor its late founder, recognize his accomplishments and look toward the future to carry on his mission for many years to come. Members of the community, NCC employees and friends gathered at St. Joseph Plaza, 233 West Market St., Newark, Oct. 23 for the event. 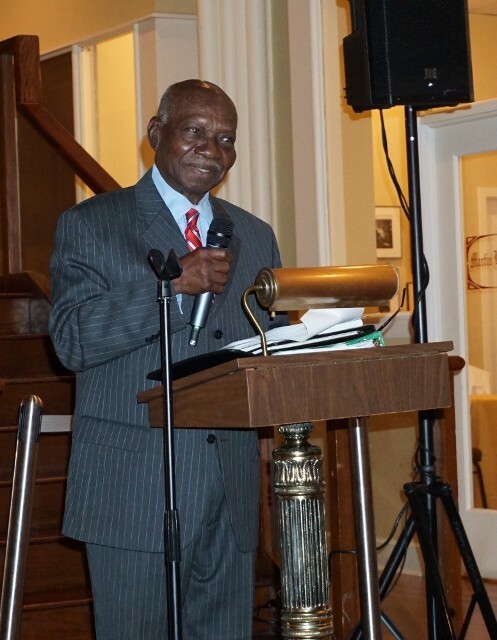 NCC Board President Dr. A. Zachary Yamba welcomed guests and explained that the occasion was a celebration of the life of Monsignor William J. Linder and a call to continue honoring his legacy. Looking toward the future to continue Monsignor Linder’s work was a theme throughout the evening. 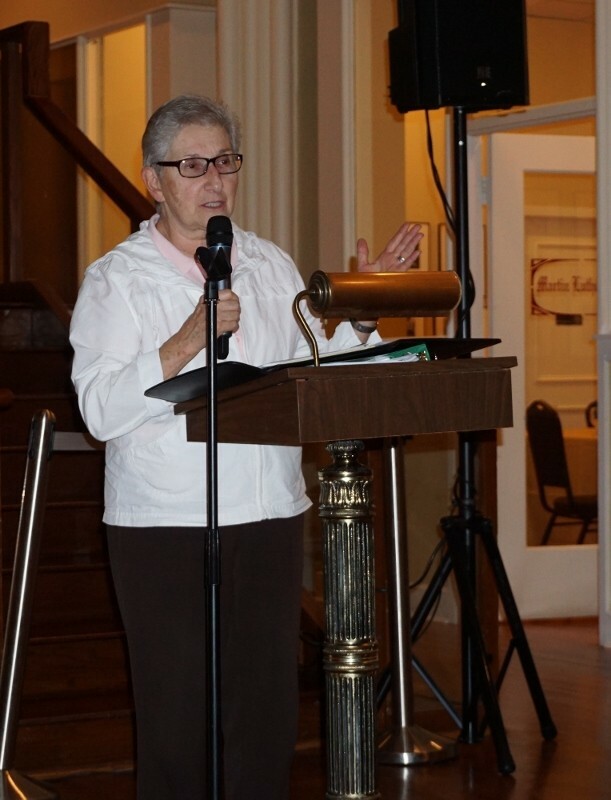 Diane Johnson, who served as the event emcee and is a new member of the NCC Board of Directors, said while the event was a tribute to Monsignor Linder and what he accomplished during his life, she also wanted everyone to look ahead and know the organization’s work will continue. New Community CEO Richard Rohrman discussed the many areas where NCC is working to grow, including renovating housing units, increasing workforce development, increasing security, increasing technology and looking at new developments. He also talked about the partnerships NCC has developed, including Rutgers School of Nursing, which will be opening a nurse practitioner led primary care operation in the NCC Health Care Complex, and the Leaguers, which helps with NCC’s early learning centers. “We are open for business. And we are launching ourselves into the next 50 years,” Rohrman said. Rohrman also talked about his personal connection to Monsignor Linder. 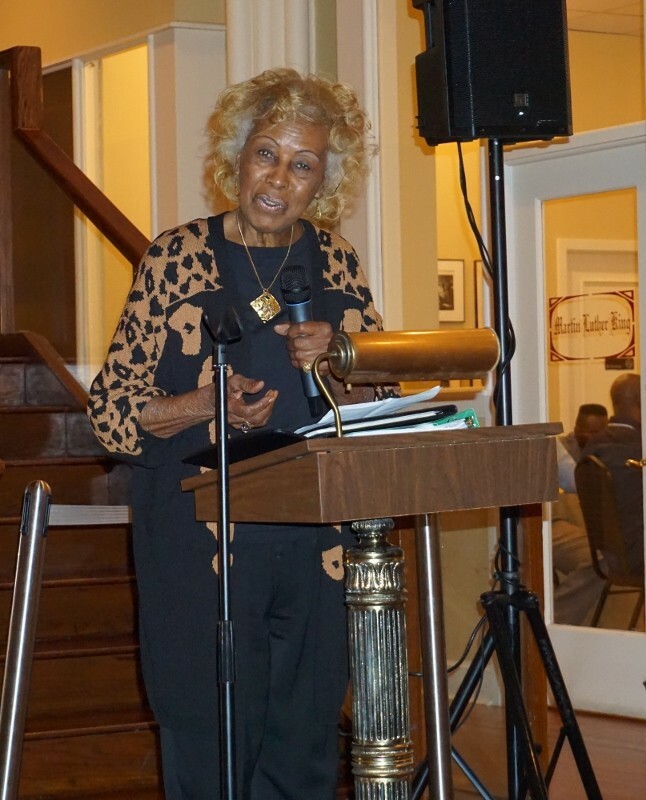 NCC Board Member and Outreach Coordinator Madge Wilson was a parishioner at Queen of Angels Church when Monsignor Linder was assigned there as pastor. She said he listened to the members of the community. “He built everything upon the needs of the people,” she said. 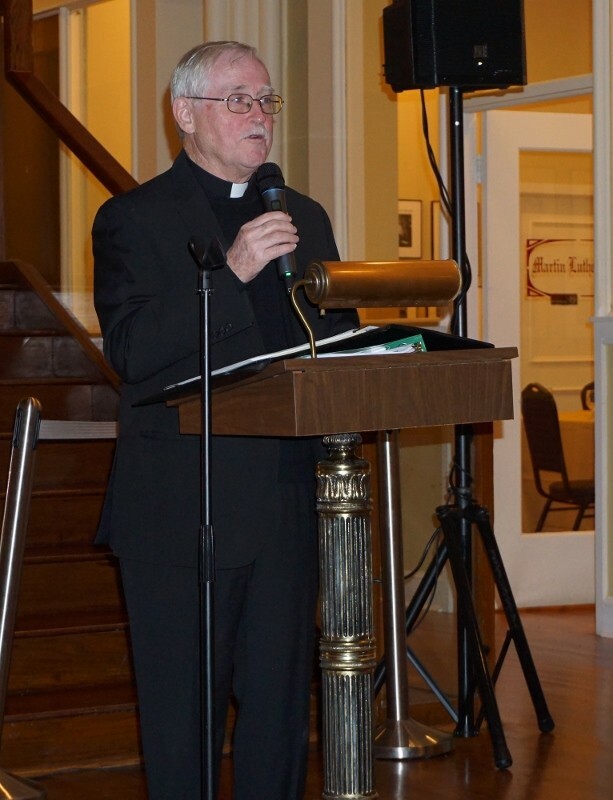 From housing to day care centers to a nursing home, Monsignor Linder brought to fruition the needs and wants of those living in the community. Sister June Favata, administrative director at Saint Vincent Academy, said she admired Monsignor Linder, who she called a force of nature and a man of faith. Father Philip Waters, who gave the homily at the funeral mass for Monsignor Linder, reiterated a point he made about Monsignor Linder’s willingness to get involved in difficult situations. Father Beatus Kitururu said Monsignor Linder taught him the power of love. “It was amazing. He had the energy of loving people that was unlimited,” he said. NCC Human Resources Manager Anna Sing-King shared her personal story of growth that was made possible by Monsignor Linder. As a child, she and her siblings were abused by their mother and put into foster care. At age 19, she gave birth to a daughter. She wasn’t able to adequately care for herself and her daughter and wrote a letter to God asking for help. 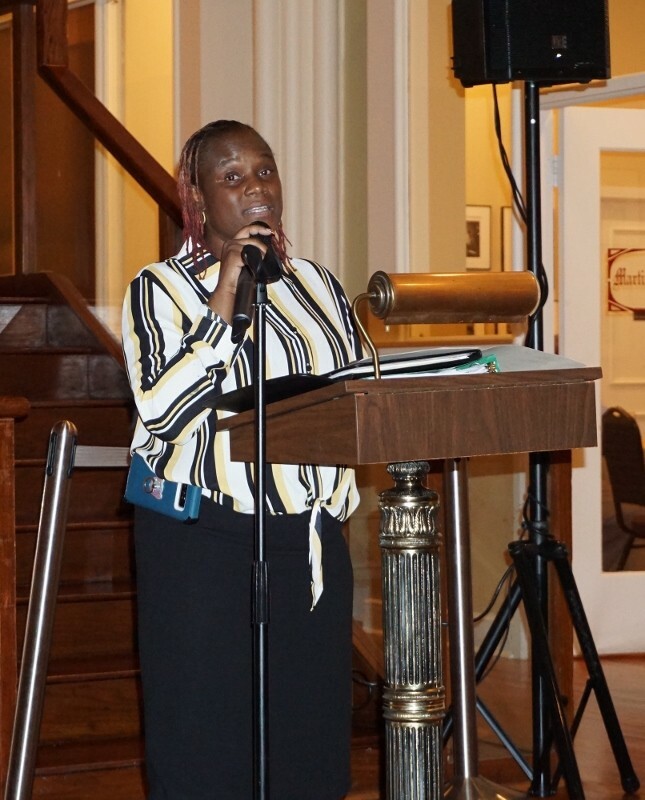 “I wanted more out of life but I didn’t know how to get it until I joined New Community Corporation in 1994 through the Employment Center,” she said. Sing-King started out as a temporary clerk in the Property Management Department and then got hired as a receptionist with HR. She has since been promoted to her current position. “My life, my daughter’s and my family, all our lives are better because of the vision of New Community,” she said. 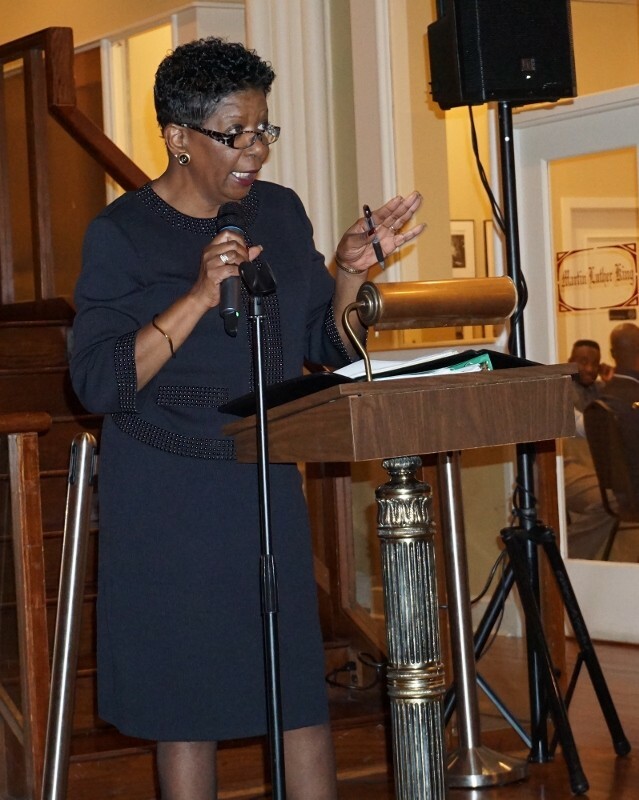 NCC Director of Mission Frances Teabout closed out the evening tribute with a story about how hard work, dedication and asking others for help when needed is the way to succeed. She also talked about how the organization is still very much needed. She then asked who in the audience was willing to join in and help NCC continue doing the work that needs to be done. Everyone rose to their feet.